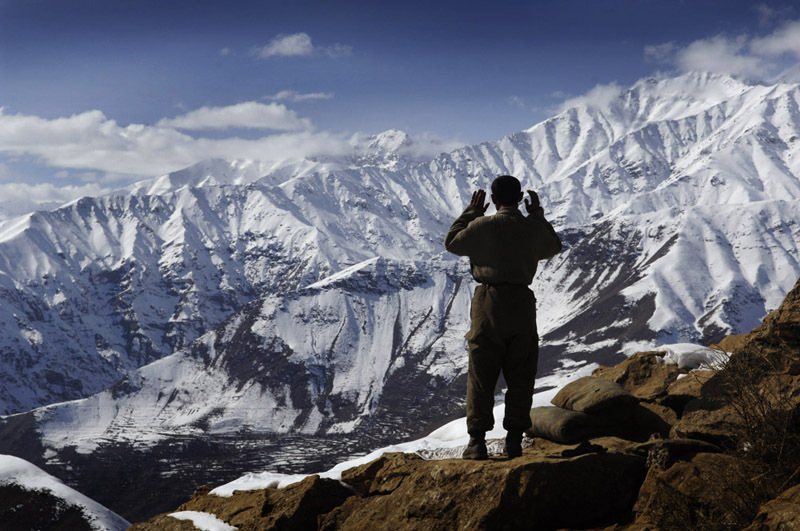 Amirdien prays at the encampment where he lives with his emerald mining partners high above the village of Khenj, Afghanistan. The mines are high in the Hindu Kush mountains making accessability difficult. The ruggedness also makes it easy to control who comes in and foreigners are viewed with suspicion.